﻿An Author Without Readers is Like a . . .
An author without readers is like a Thanksgiving dinner without anyone to join in the feast. If you have prepared such an extravagant meal, you know all that goes into it. You get out all those cherished recipes and introduce new ones, develop the menu, do the shopping, invite the guests–all that before you even start cooking. I haven’t even mentioned cleaning the house or decorating the table. Imagine a book as a meal that was two years in the making. Some of the dishes–cranberry sauce, turkey or ham (or vegan option), stuffing, pecan pie–remain the same. In my genre of contemporary romance the core ingredients translate to two people who we hope will fall in love, obstacles and suspense along the way and eventually a happily ever after or some version thereof. But all of the dishes are reinvented each time. I created a world for my two main characters as well as a host of sub characters and took them on a journey throughout Europe. A core group of readers experienced the story and provided feedback. I re-wrote and revised. Finally, the story was complete and I invited guests to the table. And you showed up! Not only did you show up, but just like a Thanksgiving dinner, you devoured my years of hard work in a matter of days. Some of you took the time to write reviews of your experience, with the hope of encouraging others to read my novel. And I can’t thank you enough! Just like a restaurant needs new customers to stay open, an author not only needs their core readers, but also needs to reach new readers outside of their circle. This can help them establish enough of a readership for them to step more fully into the role of author. In other words: Enjoy a book? Don’t forget to tell your friends. On that note, I have selected two customer reviews of The Things We Said in Venice listed on Amazon.com to share with you. One from author Francis Guenette and one from a male reader. You can see all of the current reviews by clicking on this link. Real people involved in real life struggles against the backdrop of some wonderful tourist locales – The Things We Said in Venice – is not your typical bodice-ripping romance, though there are some steamy spots to keep things interesting! Not to mention language mishaps that will have most readers in stitches. Sarah – betrayed in a marriage that wasn’t all that great to begin with; Fokke – similarly betrayed but also denied his dream of fatherhood – the author manages to make these two characters refreshingly unique while at the same time, making them real people that many readers will relate to. Sarah’s penchant for fuzzy pink clothing and Fokke’s chair collection, quirky traits but ultimately endearing and memorable. Things to love about this book: enough suspense to keep the reader going, authentic relationships and issues, travel adventures, an exploration of an unlikely pair of people meeting in a serendipitous way and maybe having a shot at being more than a traveller’s fling. You’ll have to read Kristen Anderson’s book to find out! Yes, I admit it. I am a man and I read romance novels. 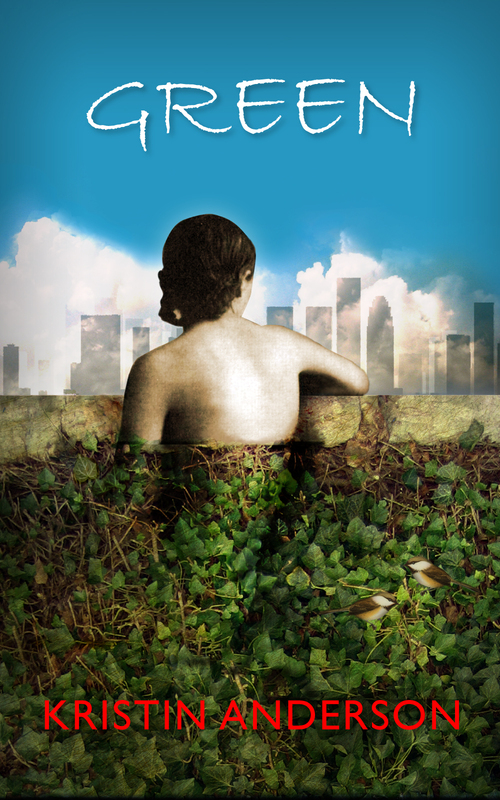 Sometimes of the trashy variety and sometimes more sub genre specific, but I loved “Green” by Kristin Anderson, so I couldn’t wait to read “The Things We Said in Venice”. The story is captivating and full of great tidbits for those of us who enjoy traveling the world, but my favorite things about the book are the depth of the characters and how the subtle message of social responsibility with respect to living in harmony with our planet is woven into the narrative. Most of all, I think that the author really “gets” men. So often in romance stories men are portrayed as emotionally unreadable billionaire types or controlling jerks who want to dominate their women. The male lead character, Fokke, is none of these things, but a real man that the gender can identify with. Our heroine, Sarah, has been through so much yet she is strong, determined, independent and burns with inner beauty. This is what real men are drawn to. And so, Kristin Anderson has done it again: Drawn me into a world of characters that I came to love and care about in the span of two days; all while subliminally weaving ideas into my mind that small changes in my lifestyle with respect to my effect on the planet can make a tangible difference in how we all live well in this world. U.S. readers can order a copy of the The Things We Said in Venice here. If you live in the UK, click here to order. Anywhere else in Europe, it makes the most sense to order the print copy from Amazon Germany. Kindle version is available in all Amazon stores.